UPDATE 1.30pm: Missing Isis Central woman Theresa Dougherty has been located "safe and well" by rescuers. She was discovered in Cordalba State Forest around 400m north-west of her Barkles Rd property. Her two dogs were found with her. She had become lost and disoriented after originally leaving her house to look for a third dog which had gone missing. EARLIER: A massive land and air search is under way in Isis Central for a 45-year-old woman who has been missing since about 1pm yesterday. Police say Theresa Dougherty left her Barkles Rd home yesterday with two of her dogs to search for another of her dogs, a great dane-mastiff cross, which had gone missing. She told her son she would be searching near the rubbish tip area behind her home, which backs on to Cordalba State Forest. Police and family are concerned as she has a medical condition and the disappearance is out of character. The missing dog has since returned home, but Ms Dougherty and the two other dogs are still missing. Ms Dougherty is described as caucasian with a proportionate build, brown hair and blue eyes. She was wearing a pink blouse and shorts. 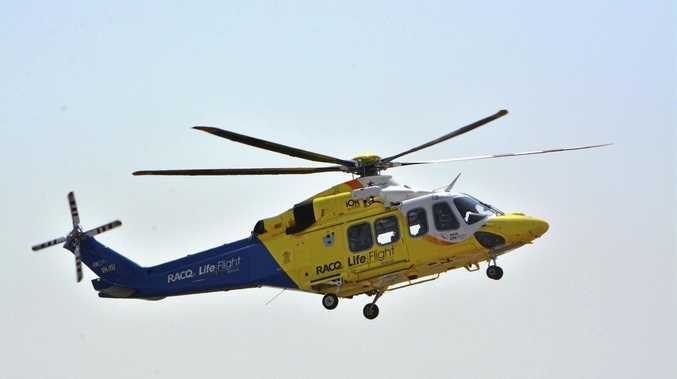 Aerial assistance from the Bundaberg RACQ LifeFlight helicopter is being provided. North Burnett SES co-ordinator Brian Lowe said there were crews from Bundaberg, Childers, Gin Gin, South Kolan, Moore Park and Burnett Heads involved in the search. He said crews from Gayndah, Biggenden and Howard were on standby to join the search, which may stretch into tomorrow. Mr Lowe said the SES had been requested to provide drone support if available. He said it could be the case that Ms Dougherty was injured, or one of her dogs had run further into the forest and she had chased after it.